Check THIS out! Hello Pojo Readers, Crunch$G here again to tell you more things you need to know about new Yu-Gi-Oh product. It is that time of the year again for another main booster set to be released and just by looking at the set list, this might be the best main set to be released this year depending on what the final set of the year will look like. 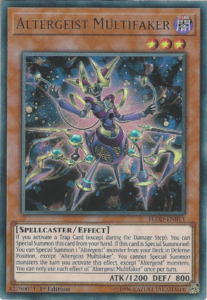 Flames of Destruction has several meta impacting cards and cards that can please the casual fanbase, though the casual fanbase might have Cybernetic Horizon better suited for them. This will change the meta and in this article, I will list what are those important cards and more. Yippie! More puns! 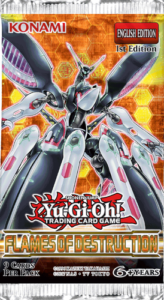 This set gives us a brand new archetype of Link Monsters and one main deck monster. Sure they have Spell and Trap support, but I don’t think any of those cards are worth talking about. 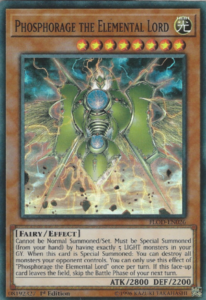 For the main deck monster, it is simply a floodgate that prevents the player that controls it from Special Summoning monster that aren’t Link Summons and when you use it for a Link Summon, you can summon it to your opponent’s field so they have to get around that setback. 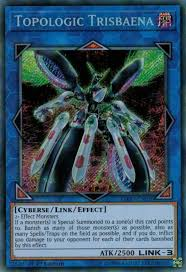 When it comes to the Link Monsters, their effects upon Link Summoning are based around giving you control of the gamestate by the simple cost of discarding a card, and you get to draw if the Link Monster you summon is co-linked. Some of the monsters have effects to clear the opponent’s board, others let you get cards onto your side of the field from the GY, deck, or by simply giving you another Normal Summon for the turn. Not only that, but they also have effects when they are co-linked. Some will give your co-linked monsters protection, another one will let you draw extra cards during your Draw Phase, and the boss monster of them all locks out all effects of monsters that are not linked. Knightmares will likely be Link staples, so I recommend having them on hand. This set comes with a good amount of cards worthy of being staple in several main and side decks in the upcoming future. First off, we all know of Called by the Grave from the Extreme Force Special Edition which now gets a common print in this set. The fourth instalment of the Ghost Girl series is in here, this time preventing moving cards from the GY, which I recommend having your hands on a few for future metas. A new Counter Trap that can negate other Traps and lock your opponent out of Traps for the rest of the turn, and it can be used from the hand by paying half of your LP so you can prevent your plays from being stopped by a Solemn. A Trap Hole card that banishes monsters face-down when they are summoned from the Main Deck or GY, worthy of keeping your eye on for the future. 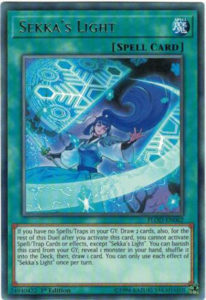 The main chase card of the set though is a Trap that resembles Evenly Matched that lets you activate it from the hand when you control no cards and in turn can negate a Monster Effect your opponent controls, but you are rewarded if you set it in the Spell and Trap zone as if it is activated after being set, you can negate all Spells and Traps in the column it was activated in. This will be staple for a while I feel, so have your playset on hand. An archetype that got some great support is Altergeists. Now, I don’t expect this to be the best deck in the format, but with the support the archetype got, it can still get some top cuts in major tournaments. 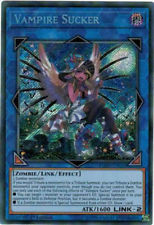 One of the noteworthy cards is a Trap that protects your Altergeists from targeting and destruction effects. 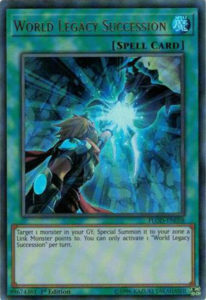 The main piece of support they got, however; is a monster that can be summoned from the hand when a Trap Card resolves and when Special Summoned by that effect, you can Special Summon any Altergeist from your main deck. This helps Altergeists get to one of their main monsters, Meluseek, and fuel your Altergeist Protocol. If you want a more budget deck that can bring you competitive success, I feel Altergeists will be great for picking up. This set will be the final wave of support for the two TCG Exclusive archetypes that debuted in Code of the Duelist, and the F.A. archetype, which many didn’t expect much of at first, went out on a high note. The Spells and Traps are not the greatest to be honest, though they got a win condition that some might mess around with, the best pieces of support were the two monsters F.A.s got in this set. The first one being a Level 7 that you can summon from your hand when you control a Level 7 or higher F.A. Monster and no copies of itself already on the field, which is easy enough in the deck. In turn, you get the standard F.A. stuff, but this monster can lower its level to destroy any card on the field, which is great for clearing your opponent’s board or destroying your own Field Spells for searches. The other card is a generic Level 7 Synchro that has piercing and can negate Spells and Traps once per turn. I can see this being plays in and out of F.A.s only due to the ability to negate any Spells and Traps being very powerful, which is why Six Samurais were a powerful force at one stage, now almost every deck can do what they were able to do. If you are a fan of F.A.s, then your deck is going out on a high note. Vendreads also go out on a solid note, though not as high as F.A. did. 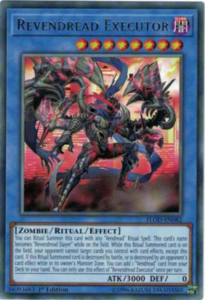 Vendreads get their final boss Ritual Monster with 3000 ATK that protects all cards you control from targeting except the Ritual Monster himself and also searches for a Vendread when the Ritual Summoned card is destroyed. Not the best boss monster maybe, but not the worst considering how easily the deck can Ritual Summon it. Speaking of Ritual Summons, the deck got another Ritual Spell that can use the deck for a material in the Ritual Summon, which is nice despite the drawbacks of you must use that Ritual Spell to tribute exact levels for the Ritual and said Ritual is destroyed during the End Phase of the next turn. Finally is a Level 1 that can banish itself from the GY to bring back one of your banished Vendreads in return for locking your Special Summons to Zombies only for the turn. Now though the final card I will mention isn’t part of the Vendread archetype, I feel this is a great spot to mention it. 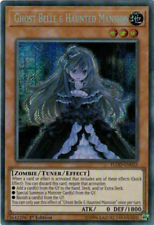 Zombies get a new Link Monster in Vampire Sucker that lets you draw cards when you revive Zombies from the GY and lets you use any Zombies your opponent controls for your Tribute Summons, which will be fitting for the Vampire support in Dark Saviors. If you love Zombie decks, have yourself a copy or two of Vampire Sucker. 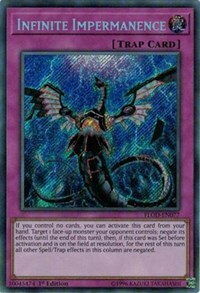 Remember the Elemental Lord monsters from about 5 years ago? Well in 2018 they got a whole archetype dedicated to them. The Elementsabers are monsters made on filling the GY with other Elementsabers for various effects. In turn, the Elementsabers in the GY can change their attributes to accommodate summoning the Elemental Lord monsters. We also get a new LIGHT Elemental Lord with a Raigeki effect, the DARK one will be in Cybernetic Horizon. The Field Spell the archetype gets is fundamental to the deck as it searches out your monsters and boosts them for each different attribute on the field and in the GY. This seems like a fun archetype to try out, mix them with Invoked or go pure and you got a fun deck on your hand. Now is a great time to dust off those old Elemental Lords. In this set are some more Link Monsters for various different decks. 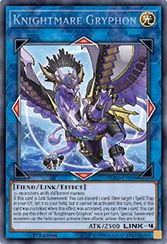 The cover card, which is a generic Link Monster, is a great Link-3 for clearing out the backrow when a monster is Special Summoned to a zone it is pointing to, so your opponent won’t want to summon into the zone it points to on their field. We also get the WIND Link Monster for various WIND decks as well as a Link Monster for any Beast, Beast-Warrior, or Winged Beast deck. 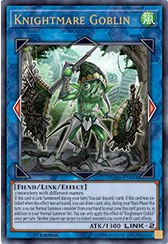 Also Wind-Ups get a Link Monster to help extend their combos and give us hope for Carrier Zenmaity to come off the Forbidden Section of the F&L List. We also get 3 more of the Link VRAINS Pack Link Monsters, this time for Shaddolls, Inzektors, and Madolche. All three I can see being one offs in their respective decks and makes me hope El Shaddoll Construct, Inzektor Dragonfly, and Inzektor Hornet move up on the F&L list. Finally are a few other little things of note when it comes to this set. Archetypes like Gouki, Trickstars, Batterymen, Darklord, Monarchs, Crystal Beasts (a little late), Cardians, and Tindangle got new cards. We also get a nice side deck option that lets you summon nearly anything from the Extra Deck when it is removed from your field thanks to your opponent. We also got a new draw cards for decks full of only monster cards. We got a new monster that can lock a whole column away when it is summoned by summoning it to a column with 3+ cards and then clearing said column. One of the better cards in the set is a nice Spell card in the World Legacy archetype that lets you revive a monster to a zone a Link Monster points to, so that might be a card to look out for in the meta. There is a good chance Flames of Destruction is going to be the best main booster set of 2018. 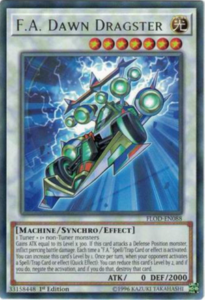 Extreme Force did have meta impacting cards, but Flames of Destruction has more of them. Cybernetic Horizon is a great set, but is more leaning towards a casual playerbase, and we have no clue what Soul Fusion will look like. If there was a set to get a booster box or two of, it would be this one. The Special Editions could also be great investments later on as it will reprint Moulinglacia and Grandsoil (with errata and will be legal). Flames of Destruction is a very good set with many cards worth having. Now big question, Light of Destruction came out in May 2008, Flames of Destruction comes out in May 2018, do we get Gusts of Destruction in May 2028?